Asymmetric catalysis and asymmetric synthesis. Synthetic and mechanistic studies of biomimetic catalysis. Our research program focuses on the discovery of powerful and practical chiral organic catalysts promoting novel and highly selective reactions. Our group pioneered the development and application of general base catalysis as general means for the development of new reactions. We also established that the general base catalysis could be coupled with electrophile-activating catalysis such general acid catalysis and iminium catalysis to form powerful bifunctional catalysis for asymmetric reaction development. These concepts have been successfully applied to the development of a wide range of novel and highly efficient organic transformations of general scopes. Many of these reactions have already found wide applications in target- and diversity-oriented synthesis in academia and industry. Our reactions have also been developed into viable tools for industrial manufacturing of chiral compounds. Hu, B.; Deng, L.. "Direct Catalytic Asymmetric Synthesis of Trifluoromethylated γ‑Amino Esters/Lactones via Umpolung Strategy." J. Org. Chem. 84. (2019): 994-	1005. Hu, B.; Bezpalko, M. W.; C Fei, C.; Dickie, D. A.; Foxman, B. M.; Deng, L. "On the Origin of and a Solution for Uneven Efficiency by Cinchona Alkaloid-Derived, Pseudoenantiomeric Catalysts for Asymmetric Reactions." J. Am. Chem. Soc. 140. (2018): 13913-13920. Hu, B.; Deng, L.. "Catalytic Asymmetric Synthesis of Trifluoromethylated γ-Amino Acids via Umpolung Addition of Trifluoromethyl Imines to Carboxylic Acid Derivatives." Angew. Chem. Int. Ed. 57. (2018): 2233-2237. Li, Z.; Hu, B.; Wu, Y.; Fei, C.; Deng, L. "Control of Chemoselectivity in Asymmetric Tandem Reactions: Direct Synthesis of Chiral Amines Bearing Non-adjacent Stereocenters." PNAS 115. (2018): 1730-1735. Deng, Li. "Catalytic Asymmetric Synthesis of Chiral -Amino Ketones via Umpolung Reactions of Imines." J. Am. Chem. Soc. 138. (2016): 15817-15820. Wu, Y.; Deng, L.. "Quinine." Electronic Encyclopedia of Reagents for Organic Synthesis. Ed. Rovis, T.. John Wiley & Sons, 2016. 533-547. Zhou, X.; Wu, Y.; Deng, L.. "Cinchonium Betaines as Efficient Catalysts for Asymmetric Proton Transfer Catalysis: The Development of a Practical Enantioselective Isomerization of Trifluoromethyl Imines." J. Am. Chem. Soc. 138. (2016): 12297–12302. Hu, L.; Lu, X.; Deng, L.. "Catalytic Enantioselective Peroxidation of α, β-Unsaturated Aldehydes for the Asymmetric Synthesis of Biologically Important Chiral Endoperoxides." J. Am. Chem. Soc. 137. (2015): 8400-8403..
Lu, X.; Deng, Li. "Hydrogen Bonding-Mediated Cooperative Organocataoysis by Modified Cinchona Alkaloids." Cooperative Catalysis. Ed. Peters, R.. Weinheim, Germany: Wiley-VCH Gmbh & Co, 2015. 145-169. Wu, Yongwei. ; Lin Hu. ; Zhe, Li. ; Deng, Li. "Catalytic Asymmetric Umpolung Reactions of Imines." Nature 523. (2015): 445-450. Yang, Z.; Deng, L.. "Catalytic Asymmetric Direct Aldol Reaction of α-Alkyl Azlactones and Aliphatic Aldehydes." Chemical Science 6. (2015): 6510-6514. Deng, Li. "Catalytic Asymmetric Peroxidation of -Unsaturated Ni-troalkenes by a Bifunctional Organic Catalyst." Organic Letters 16. (2014): 2358–2361. Singh, R.; Deng L.. "Cinchona Alkaloid Organocatalysts." Asymmetric Organocatalysis 2. Ed. Maruoka, K.. Georg Thieme Verlag KG, 2012. 41-117. Bartelson, K.; Singh, R.; Foxman, B. F.; Deng, L.. "Catalytic Asymmetric [4+2] Additions with Aliphatic Nitroalkenes." Chemical Sciences 2. (2011): 1940. Campbell, N.; Sun, B.; Deng, L. "Cinchona alkaloid-catalyzed enantioselective amination of α,β-unsaturated ketones: an asymmetric approach to 2-pyrazoline." Advanced Synthetsis&Catalysis 353. (2011): 3123. Li, H.; Chen, Y. G.; Deng, L.. "“Cinchona Alkaloids”." Privileged Catalysts and Ligands in Asymmetric Catalysis. Ed. 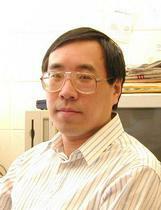 Zhou, Q.-L., Ed. Hoboken, New Jersey: John Wiley & Sons Inc, 2011. 361-404. Liu, Y.; Provencher, B.; Bartelson, K.; Deng, L. "Asymmetric Darzens Reaction with a Bifunctional Phase Transfer Catalyst." Chemical Sciences 2. (2011): 1301. Provencher, B.; Bartelson, K.; Liu, Y.; Deng, L.. "Structural Study-Guided Development of Versatile Phase-Transfer Catalysts for Asymmetric Conjugate Additions of Cyanide." Angew. Chem. Int. Ed. 50. (2011): 10565. Wu, Y.; Singh, R.; Deng, L.. "Asymmetric Olefin Isomerization via Proton Transfer Catalysis with an Organic Molecule." J. Am. Chem. Soc. 133. (2011): 12458. Li, H.; Liu, X.; Wu, F.; Tang, L.; Deng, L.. "Elucidation of the Active Conformation of Cinchona Alkaloid Catalyst and Chemical Mechanism of Alcoholysis of Meso Anhydrides." PNAS 107. (2010): 20625. Singh, R. P.; Foxman, B. F.; Deng L.. "“Asymmetric Vinylogous Aldol Reactions of Silyloxy Furans with a Chiral Organic Salt”." J. Am. Chem. Soc. 132. (2010): 9558. Wang, Y.; Deng, L.. "Asymmetric Acid-Base Bifunctional Catalysis with Organic." Catalytic Asymmetric Synthesis. Third Edition ed. Ed. Ojima, I. Hoboken, New Jersey: John Wiley & Sons Inc., 2010. 59-94..
Deng, Li. "Catalytic Enantioselective Conjugate Additions with -Unsaturated Sulfones." Tetrahedron 65. (2009): 3139. Hang, J.; Deng, L. "Asymmetric Synthesis of β,γ-Unsaturated α-Amino Acids via Cinchona Alkaloid-Catalyzed Kinetic Resolution of Urethane-Protected α-Amino Acid N-Carboxyanhydrides (UNCAs)." Bioorganic and Medicinal Chemistry Letters 19. (2009): 3856. Liu, X.; Sun, B.; Deng, L.. "Catalytic Asymmetric Amination of -Substituted -Keto Thioesters." Synlett (2009): 1685. Liu, Y.; Sun, B.; Wang, B.; Matthew, W.; Deng L. "Catalytic Asymmetric Conjugate Addition of Simple Alkyl Thiols to -Unsaturated N-Acylated Oxazolidin2-ones with Bifunctional Catalysts." . J. Am. Chem. Soc 131. (2009): 418. Sun, B.; Hong, R.; Kang, Y.-B.. "Asymmetric Total Synthesis of (-)-Plicatic Acid via a Highly Enantioselective and Diastereoselective Nucleophilic Epoxidation of Acyclic Trisubstituted Olefins." J. Am. Chem. Soc. 131. (2009): 10384. Deng, Li /Singh, R. P.; Bartelson, K., Wang, Y.; Su, H.; Lu, X.. "Enantioselective Diels-Alder Reactions of Simple ¿¿¿-Unsaturated Ketones with a Cinchona Alkaloid Catalyst." . Journal of American Chemistry Society 130. (2008): 2422-2423. Deng, Li /Song, J.; Shih, H.. "Asymmetric Mannich Reactions with in situ Generation of Carbamate-Protected Imines by an Organic Catalyst." Organic Lett 9. (2007): 603. Deng, Li /Wang, B.; Wu, F.; Wang, Y.; Liu, X.. "Control of Diastereoselectivity in Tandem Asymmetric Reactions Generating Nonadjacent Stereocenters with Bifunctional Catalysis by Cinchona Alkaloids." J. Am. Chem. Soc. 129. (2007): 768. Deng, Li /Wang, Y.; Li, H.; Wang, Y.-Q. ; Liu, Y.; Foxman, B. M.;. "Asymmetric Diels-Alder Reactions of 2-Pyrones with Bifunctional Organic Catalysts." J. Am. Chem. Soc. 129. (2007): 6364-6365. Deng, Li /Li, H.; Wang, Y. "Enantioselective Friedel-Crafts Reaction of Indoles with Carbonyls Catalyzed by Bifunctional Cinchona Alkaloids." Organic Lett 8. (2006): 4063. Deng, Li /Song, J.; Wang, Y.. "The Mannich Reaction of Malonates with Simple Imines Catalyzed by Bifunctional Cinchona Alkaloids: Enantioselective Synthesis of ¿ Amino Acids." J. Am. Chem. Soc. 128. (2006): 6048. Deng, Li /Tian, S.-K.. "Enantioselective Cyanocarbonation of Ketones with Chiral Base." Tetrahedron 62. (2006): 11320. Deng, Li /Wang, Y.; Song, J.; Hong R.; Li, H.. "Asymmetric Friedel-Crafts Reaction of Indoles with Imines by an Organic Catalyst." . J. Am. Chem. Soc. 128. (2006): 8156. Deng, Li /Wu, F.-H.; Ran, H.; Khan, J.; Deng, L. "Asymmetric Synthesis of Chiral Aldehydes via Conjugate Additions with Bifunctional Organocatalysis by Cinchona Alkaloids." Angew. Chem. Int. Ed. 45. (2006): 4301. Deng,Li. "Cataytic Construction of Nitrogen-Substituted Quaternary Stereocenter by Highly Enantioselective Amination with Chiral Catayst Deriived from Both Quinne and Qindine." Organic Lettters (2005). Deng,Li. "Highly Enantioselective Conjugate Addition of Malonate and b-Ketoester to." J. Am. Chem. Soc (2004). Deng,Li. "Stereocontrolled Creation of Adjacent Quaternary and Tertiary Stereocenters via a Catalytic, Diastereoselective and Enantioselective Conjugate Addition." Angew Chem. Int. (2004).